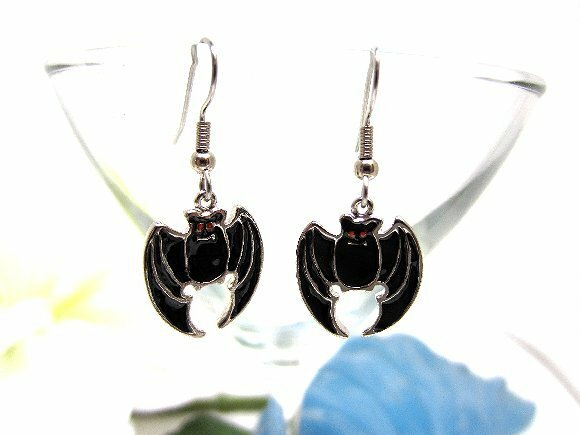 Aside from being the focus of these earrings, bats are rather useful creatures; among other things, they devour an amazing number of mosquitoes. For my money, they are most useful as something into which vampires can conveniently turn themselves, and thus as symbols of Halloween. 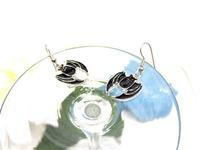 These earrings are a great example: they?re made with black enameled silver plate charms in the shape of bats. 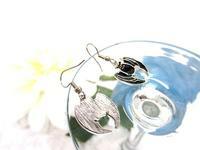 The bat earrings end about 1-1/2" from the tops of their surgical steel hooks. The charms have tiny red eyes and just the hint of fangs. Celebrate Halloween and/or vampires with these bat earrings from SPARKLE PLENTY.